These charming bracelets provide a private, gentle vibration every 60 or 90 minutes, prompting the wearer to take some sort of action. The core function of the bracelet is to “pause” from whatever you are doing and reframe your thoughts. 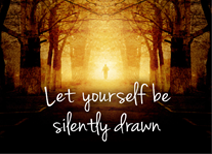 There are endless ways to decide how you will use your pauses throughout the day. At the end of the day, you will have experienced more joyful moments by pausing and giving real meaning to your day. Consider synchronizing your pause with a loved one, a friend or a group of people! Be the Love - Rose Quarts: Is often called the "Love Stone." It's energetic hallmark is that of unconditional love that opens the heart chakra. This makes rose quartz a stone for every type of love: self-love, family, platonic, romantic, and unconditional.? Most people choose to wear the capsule on the inside of their wrist which allows the beauty of the bracelet to be the focal point of the jewelry. We highly recommend that you reference the bracelet size guide to find your size for a comfortably snug fit. Due to the variance in natural stone. Bracelets can vary in size up to 1/4". For custom sizes, please allow an additional 10 days. Vibration Interval: Please select 60 min. 90 min. 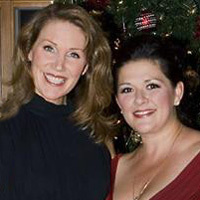 Founded in July, 2008 Meaning to Pause® is owned by its creators, Krizia Irish and Cindy Graham. The company helps people to reframe their thoughts throughout the day using a charming bracelet with private reminder technology (Patent #: U.S. D627,675 - issued November 2010). Irish and Graham became close friends while working together in business sales for 15+ years. After rushing through their highly chaotic days and many distractions, the two agreed that something was needed in order to refocus on the priorities in their lives. After several failed attempts to create visual reminders to pause throughout the day, they recognized that they required gentle prompting to stop, pause and refocus. The Meaning to Pause® bracelet fills the requirement perfectly. Its gentle vibration is a private but deliberate reminder that helps wearers redirect their thoughts on what is important to them. Thoughtful and meaningful actions can be anything; prayer, meditation, mindfulness of the present, celebrating their purpose, being grateful or forgiving. At the end of the day, the wearer will have lived their best and most purposeful day by giving meaning to the pauses.